The myth that calves are better off receiving milk twice daily was recently dispelled in a study by Animal Sciences master’s student Bertus Myburgh. 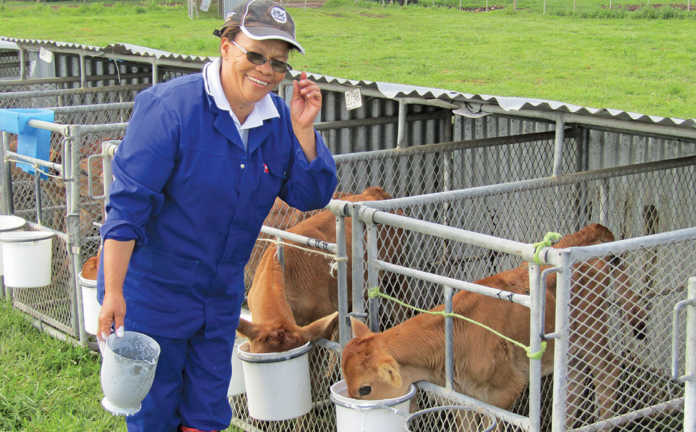 Feeding the calves milk only once a day means that Sina Smit, who works at the Outeniqua Research Farm, can spend less time preparing and cleaning bottles, and more time monitoring calf health. Research carried out at the Outeniqua Research Farm of the Western Cape Department of Agriculture has found that it is unnecessary to give young dairy calves milk twice a day. Once is enough, and in fact may even benefit the animals. 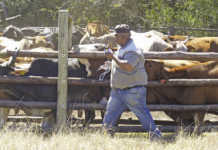 Bertus Myburgh, who conducted the study in partial fulfilment of his master’s degree in animal sciences at Nelson Mandela University, says dairy farmers in the Southern Cape region have traditionally given their calves milk twice a day, reasoning that giving calves too much milk at a time is bad for their digestive systems. However, to save on labour costs, the Outeniqua Research Farm has been giving its calves milk once a day for years, and has found this to be an effective way to rear them. But when Myburgh tried to persuade dairy farmers in the region to do the same, they dismissed it as “not a good idea”. 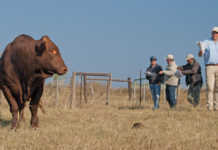 Myburgh and his supervisor, Prof Robin Meeske of the Directorate of Animal Sciences at the Western Cape Department of Agriculture, therefore decided to conduct a controlled study on Jersey calves, comparing the once-a-day and twice-a-day regimes. Forty-eight Jersey heifer calves and 24 bull calves born at the experimental farm between September and December 2017 were used in the study. They were kept with their dams for the first three days of their lives to ensure they received enough colostrum, after which they were moved to hutches and divided into two groups. The calves in the first group each received 3ℓ of milk once a day, between 8am and 9am, while the calves in the other group received 1,5ℓ of milk twice a day, between 8am and 9am, and 3pm and 4pm. To prevent stomach upsets, neither group was given access to water while receiving milk, or for two hours thereafter. This pattern was maintained for eight weeks, after which the calves were weaned. Myburgh measured the calves’ birthweights, weaning weights, and weights at 90, 120 or 150 days, and found no significant differences between those animals fed milk once a day and those fed twice a day. The animals’ development was also unaffected, as there were no significant differences in measurements of the head, length, body circumference or height. No difference in intake of calf growth pellets was found during the first three weeks of feeding. But from the fourth to the seventh week, those receiving milk once a day tended to eat more than the calves from the twice-a-day group. And during the eighth week, they ate significantly more. 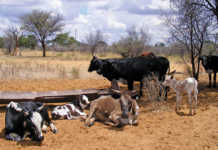 Myburgh ascribed this to these calves being willing to experiment with feed from an earlier age as they were hungry. Total growth pellet intake until weaning for the once-a-day group was 33kg/ calf, which averaged 546g/ calf/ day. This compared with total pellet intake in the twice-a-day group of 28,6kg/ calf, an average of 474g/calf/day. The bull calves were castrated during the first week after birth. Six bull calves in each feeding regime were slaughtered at eight weeks of age or six months of age. Analysis after slaughter revealed no difference in the size of the hearts and livers, but the rumen volume of calves receiving milk once a day was significantly larger at eight weeks and six months than for calves receiving milk twice a day. “The results are great, as calves with larger rumens may be able to absorb feed better and be less vulnerable to stomach problems than those with smaller rumens,” says Myburgh. Feeding milk once a day also has other spin-offs. Firstly, it is less labour-intensive, as the drinking equipment has to be used, cleaned and sterilised only once a day. This saves on costs and also lessens the chances of disease from contaminated drinking bottles as these are used once rather than twice a day. Secondly, only 25% of the calves in the group that received milk once a day were treated for stomach upsets over the eight weeks; in the other group, the figure was 39%. Thirdly, feeding milk once a day also gave staff more time to focus on calf management in the evenings when they fed and watered the animals. Potential problems could be identified earlier and sick calves treated sooner. Myburgh is currently investigating the impact of the diet on the rumen, in particular its thickness. He has taken samples of the rumen of the slaughtered bulls to evaluate differences in papillae size, length and numbers per square metre. “Papillae are small, finger-like protrusions on the rumen wall that help increase the surface area of the rumen and in effect enhance nutrient absorption,” he explains. He is also evaluating the impact of the different treatments on heifer growth. Heifers from each treatment have been divided equally into two new groups, with one group receiving growth pellets and the other receiving only a mineral lick. “So far, it seems as if giving calves milk once a day also does not have a significant impact on later growth rates,” says Myburgh. “All the heifers receive growth pellets and are on course to reach the target weight of 220kg by 12 months of age. He also plans to evaluate the reproduction and milk production of the two groups to obtain a clearer picture of how giving milk once a day affects dairy cattle from birth until they produce their own calves. Email Bertus Myburgh at [email protected], or phone him on 082 254 8369.